Probate codes, just like any other legal codes, differ from state to state. How your state will handle your probate property depends on a lot of things. In cases where you’re the only heir and no debt left is to the estate, the court may give you some freedom. The court handling the estate will be involved with the sale process most of the time. They’re looking to settle the debts from the estate. Fortunately, any debts left behind by the deceased are not your responsibility. Things like funeral expenses, unpaid bills, and credit card tabs come directly out of the estate, rather than out of your pocket. The executor, sometimes called the administrator, is the one responsible for making the decision to sell the probate property. If there are multiple heirs, the other heirs have to be involved in the sale process. This is because the funds from selling the home go directly into the estate, and the total value of the estate affects every heir. The court manages this process to make sure that everyone is informed. If there was no will, there was no executor. If that’s the case, the court has to appoint one. You aren’t allowed to step in and nominate yourself, even if no one wants to contest you. Even if you’re the deceased’s only child, you do not automatically inherit the property without a will. In the event that this happens, you’ll need to submit forms to the court. The court will almost always appoint the closest living heir as the executor. As the executor, you’ll have the biggest say in how all aspects of the estate are handled, including the home. The property will be transferred over to you. Nothing can happen until the property actually belongs to the executor, so it’s best to get the ball rolling as soon as possible. How Much Control Does The Court Have? Depending on where you live, it may be possible to bypass the court, allowing you to do things the way you want. You might be able settle the estate and get the property out of probate without help. When all of the heirs agree, there’s no reason to get the court involved. Just make sure you’re aware of the probate laws in your state. If you can’t avoid the court, or you need to sell the home while it’s still in probate, you’ll have to play by the court’s rules. The court is going to want to get an appraisal, and they’re going to tell you how the home should be listed. This usually involves aggressive advertisement and publishing the sale of the home in major local newspapers. The court can also approve or deny appraisals, and determine a minimum sale price. The court is acting in the best interest of the deceased when it comes to settling the estate. This means that they want the home appraised correctly, and they won’t allow the home to sell for less than 90% of its appraisal value. The executor is responsible for finding an approved appraiser to inspect the property and determine its value. If the executor cannot do this, the court will take on that responsibility. The court will give you a real estate agent, who is responsible for handling the sale. The bidding starts at 90% of the appraisal value. Potential buyers will start putting in their offers. Like in any auction, the home goes to the highest bidder. The winning bidder will present the court with a deposit check, and that check will them become part of the estate. The court can use the check to pay estate expenses, and fulfill debts or allotments as per the estate’s requirements. If the house is in bad shape, it may be difficult to find a buyer. Houses in bad shape, especially if there is significant structural damage involved, will appraise very low. The probate court wants the highest offer possible, but properties that are undesirable don’t draw up much attention. A real estate agent may not be able to market them, and this makes the sale process difficult. Is It Possible to do a Short Sale on a Probate Home? You have the option to request a short sale on a probate home that’s seen better days. If the house needs a lot of work, buyers may not be drawn to it – no matter how reasonable the price is. Since the probate court is only interested in selling the home close to the appraisal value, low value homes can still move just as quickly as in-demand properties in great areas. You just need to find the right real estate investor. 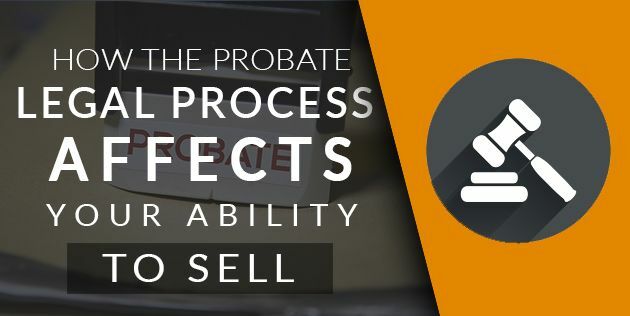 SCHB has plenty of experience purchasing probate properties, many of which need a lot of work. If you’re looking to get the property off your hands as quickly as possible, we may be able to provide you with a cash offer for your home that fits the court’s requirements. Let repairing the home become our responsibility. The sooner the house sells, the sooner you can settle the estate. Simply contact us with information about your home, and we’ll be glad to discuss the sale process of your probate home with you. « Previous Post Can I Safely Sell My Home Before a Foreclosure? Next Post » What Are My Options When My Probate Property is In Bad Shape?